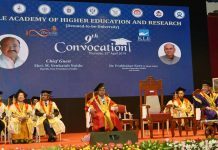 “I can’t forget the hardships in Mumbai, only the regular practice of yoga and meditation helped me to achieve the doctoral degree”, said, Dr. Bijay kumar Maharana, National Youth Awardee, Yoga, Dept. of Youth affairs and Sports, Govt. of India and organizing free yoga training sessions to the Central Govt. staffs and their family through GKK, DOPT, Govt. of India, New Delhi. 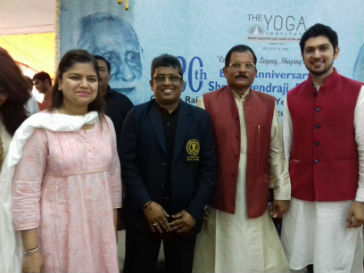 During the occasion along with ‘Patanjali Yoga Samiti, Mumbai’ thousands of Yoga teachers has participated to make the program a grand success. Previous articleSmart City- How far- How close?